My oldest daughter, Olivia, is home for the summer from university and has been spending lots of time in the kitchen. Her favourite recipe to cook is eggs and I bet she’s made them every day since she’s been home. One of her complaints to me was about the state of our cookware. Our frying pans are scratched up and food sticks even with greasing the pan. I agree with Olivia that it’s annoying and can make cooking certain recipes an absolute nightmare. 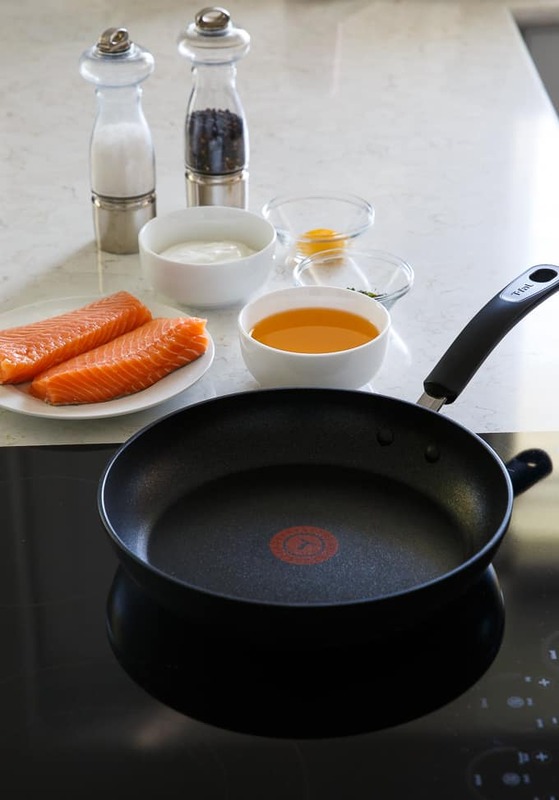 We were so ready for new cookware and the new Extreme Titanium Cookware from T-Fal couldn’t have come at a better time. 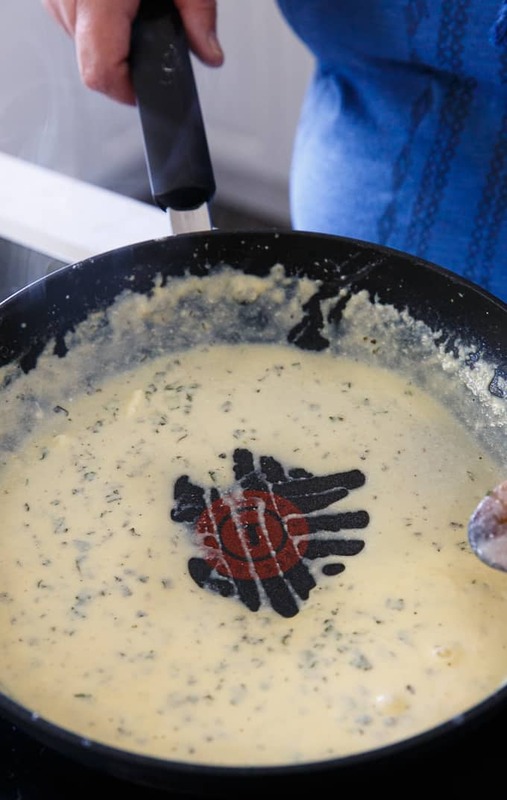 We’ve been putting it to the test and let me say, it’s an absolute DREAM to cook with. I can’t even compare it to my old cookware because it blows the competition right out of the water. 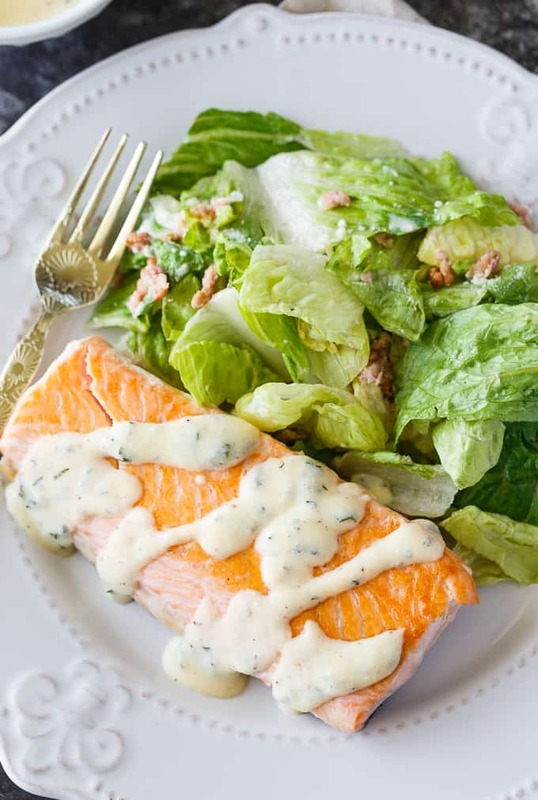 I selected Salmon with Creamy Mint Sauce as my recipe. 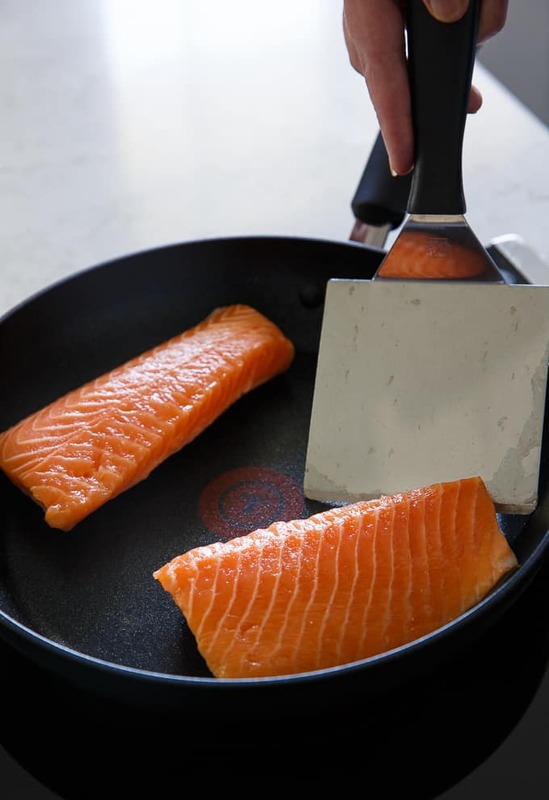 Salmon is notorious for sticking to pans. 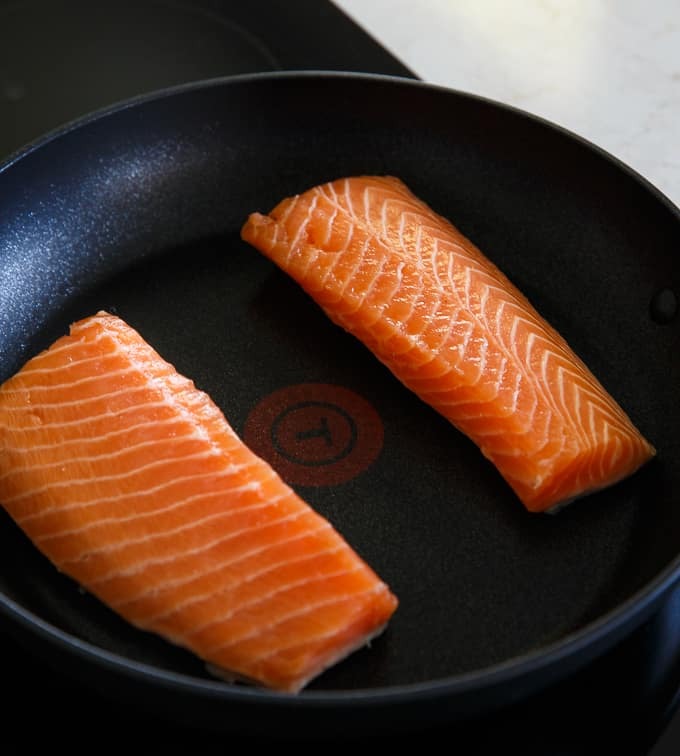 With my old pans, I’d leave half the salmon stuck to the pan when I tried to flip it over. Not my finest moment. 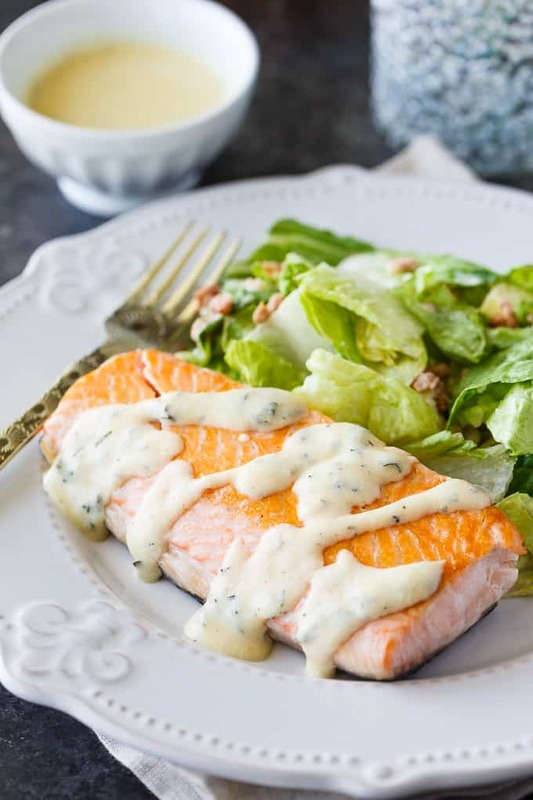 For this recipe, you’ll need salmon filets, egg yolk, fromage frais, fresh chopped mint, vegetable stock, salt and pepper. I wasn’t sure how many attempts I’d need to make to get this recipe just right, but thankfully, it turned out on the first try. The first thing I noticed is that I didn’t need to add oil to grease the pan thanks to the Extreme Titanium’s long-lasting non-stick coating. Normally, I’d slather on the oil so my food wouldn’t stick. I’ll admit, I was nervous, but I hoped for the best. I also liked the handy Thermo-spot heat indicator to tell me when my pan was hot enough to put the food in. It’s the red circle in the middle of the pan which turns a solid red when it’s at the right temperature to begin the cooking process. Too easy! I let the salmon cook for 6 minutes and then flipped it over. It didn’t stick one bit. Let’s talk about durability for a second. I think this is the MOST durable pan I’ve ever used. Yes, that is me using metal utensils on the pan. Gasp! Titanium is one of the strongest metals and this pan is infused with ultra-tough titanium particles so using metal on it is no biggie. Metal whisk? No problem. I went to town to whisking that sauce with a metal whisk. The salmon and sauce cooked both in the same pan turned out perfectly. I couldn’t have been happier with the results. The salmon was tender, melt-in-your-mouth delicious and the sauce was the perfect accompaniment. Mint was an excellent choice for flavouring to stand up against the strong salmon flavours. Olivia was impressed when I told her about how easy it was to make this recipe. She’s been using the Extreme Titanium frypan every morning for her eggs and says it’s a million times better than our old pans. Clean up is also a breeze. I didn’t have to break out the scrub pads to wash which I normally do when I wash the dishes after cooking a meal. So convenient and easy! 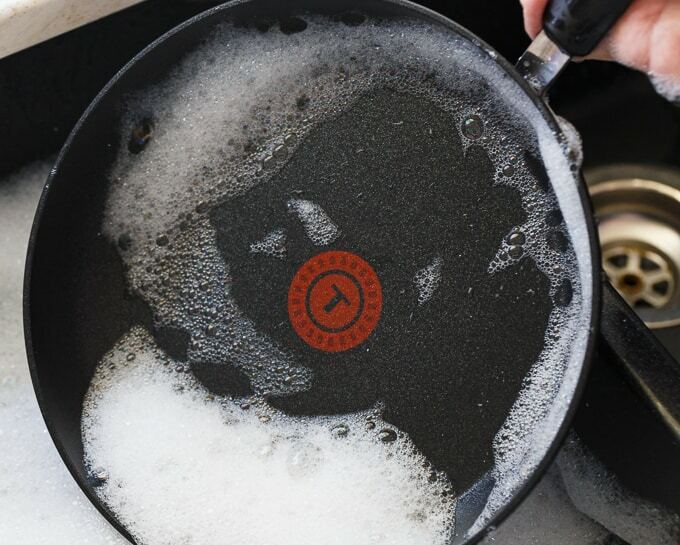 I love not having to worry about every day wear and tear with the T-Fal Extreme Titanium Cookware. This is the only frypan that I want to cook with from now on. I hope you’ll try them out too! You can buy them at Canadian Tire. The 26cm frypan is $24.99, 30cm frypan is $29.99 and the 10 Piece Set is $169.99. I need that 10 Piece Set and I’ll be set. 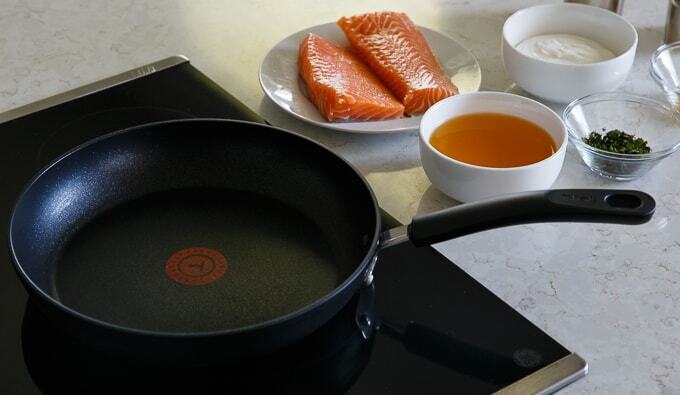 What would you cook first in the Extreme Titanium Cookware? Chicken Florentine is the first thing I’d make. Thanks! The first thing that I would cook is bacon and eggs in my Extreme Titanium Cookware. I would cook some southern fried chicken and rice in the in the Extreme Titanium Cookware to start off. I would enjoy making a chicken stir fry. I’d cook some omelettes, as well! So many delicious food items to cook but love to make a country hamburger and potato skillet dinner. So quick and easy to prepare and oh so delicious too. I would probably cook bacon, eggs, and hashbrowns first…a family breakfast favourite! I’d like to fry a rib-eye steak first in this cookware! I would make garlic chicken and gravy. I would make chicken marsala with pasta! I’d make a fabulous breakfast—omelette and homemade hash browns. I would like to make stovetop/skillet lasagna. I must try to bake the Strawberry Cream Pie it looks delicious. I’d start with the hamburger hash recipe I’ve been wanting to try. I think the first thing I would make in this would be a wonderful stir fry. I can almost taste it now. The first thing I would make is Butter Chicken! I would make Gordan Ramsey’s scrambled eggs. 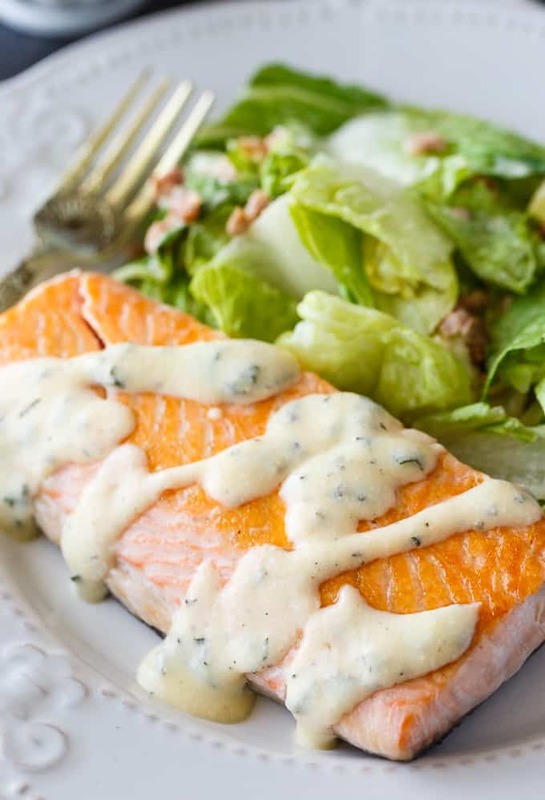 I would love to make salmon – it looks so tasty! I would cook Salmon first! I would make breakfast items for supper. Bacon, eggs and hash browns! The first thing I would make is an omelette. I would cook chicken with white wine cream sauce served with rice! I would try a crepe first. I would first cook a ham and cheese omelette. I would make a great omlet. The family would love it. I would make special weight watchers based banana pancakes! I would try up some pickerel! I would make some chocolate chip pancakes for the kids. I would make bacon in it first. I’d make omelettes. It’d be nice to have a pan that they slide out of so nicely. I would make an omelette. No sticking. How does the fry pan perform now that you’ve had it for 6 months? 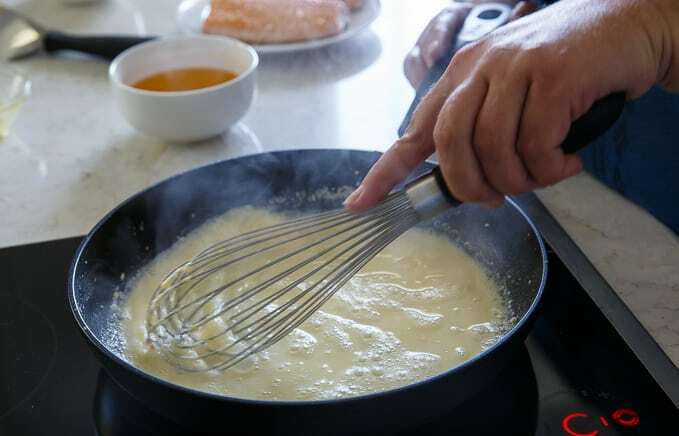 How long is the fry pan expected to remain non-stick? It’s still working great! I’m not sure how long the non-stick lasts, but mine is still fine so far.